Considering the effort that went into this project, and the car’s astonishing history, I’m surprised Toyota hasn’t been shouting about it since it was finished. Based on what I can glean from the project website through crude translation, this car is chassis number UP 15-10007, which won the very first Suzuka 500km race in the mid-1960s. 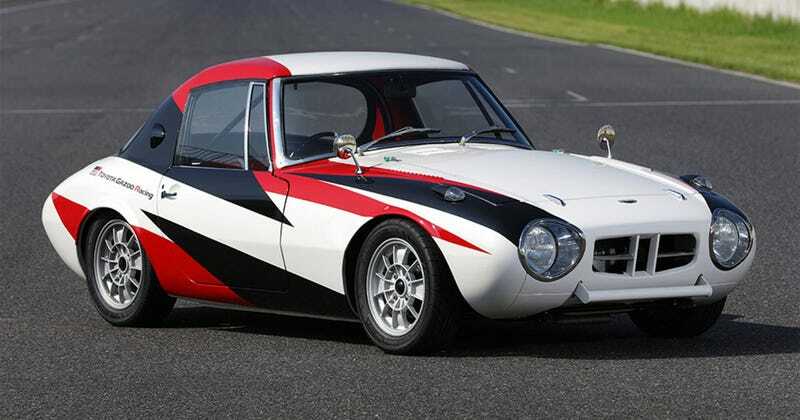 Through Toyota’s de facto factory racing team Gazoo, the car was restored to like new and given a few modern updates. In preparation for racing back in the 1960s, this Sports 800 was fitted with a bunch of modifications, as one would suspect. It’s got front and rear jacking bars, which used a lever pole much like what Formula One still uses today. A larger fuel tank for endurance racing was added, as was a safety roll bar. To give the car much needed power, the stock 45-horsepower flat-twin engine was ditched and replaced with a racing-updated power unit. With higher compression, a performance camshaft, a ported intake manifold, and a larger carburetor, the engine now makes a massive 70 horsepower. By pulling some weight from the flywheel and the cooling fan, it’s able to breathe a little easier. When Gazoo uncovered the car after decades of neglect, it was in pretty rough shape. It wasn’t really in a position to be saved, so they decided to give it some mild upgrades. More than half of the original body panels had to be ditched for new pieces, for example. It’s a really cool little project, and I love the outcome for the little car. It keeps most of what made it a great racer in its day and just updates things a bit with more modern technology. I’d love to give it a go, myself. There is unintended consequence for Toyota in all of this, however. I can’t help but ask what the hell happened to the Toyota S-FR? What the Hell Happened to the Toyota S-FR?